Baby TV is the first 24/7 channel for infant and toddlers in the states. Due to globalisation, some lucky toddlers here in Malaysia have the opportunity to watch the channel too. Chloee is one of the lucky babies. 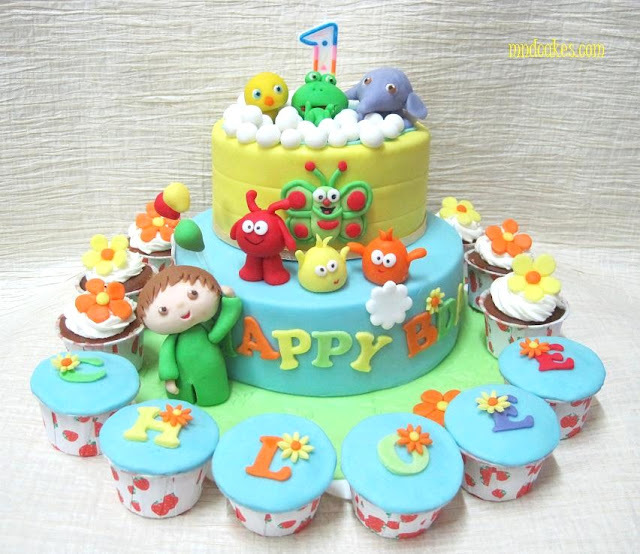 Her mom had commissioned us to make this Baby TV themed cake and cupcakes for her 1st birthday. Charlie and Bath Tubbies were specially requested and we added a few more cuties to make the cake looked more colourful and fun. 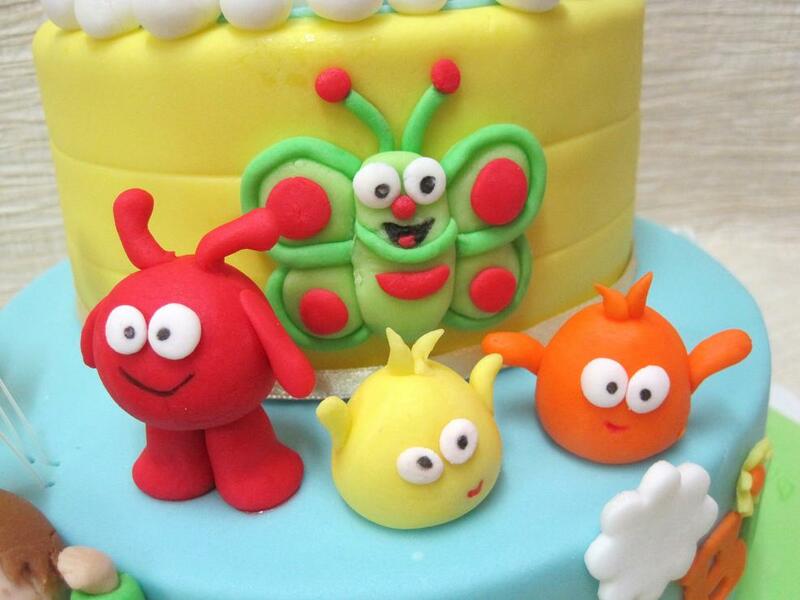 "Hi, we are Pitch & Potch, Popiz and the butterfly (logo of Baby TV)!" "Come join us for a bath!" Bath tubbies said. What a beautiful cake!! 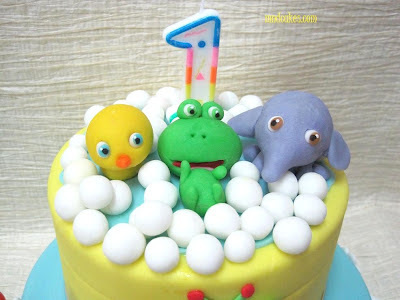 Very nice cake!